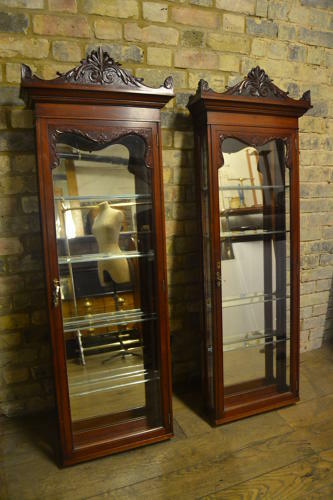 Beautiful mahogany Victorian jeweller's cabinets from a jeweller's in Brighton, where it has remained since new. In absolute original condition. Fully functioning locks and four adjustable shelves.